Are you a freelancer, consultant, or someone who manages a multi-author WordPress site? If so, then you already know what it feels like to explain the same things repeatedly to your clients and users. One of the ways to solve this problem is by providing great help resources and documentation. 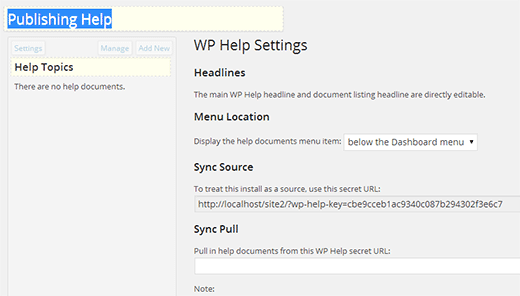 If you want to configure the plugin settings, then simply click on the Settingsbutton and the plugin’s settings options will appear on the page.